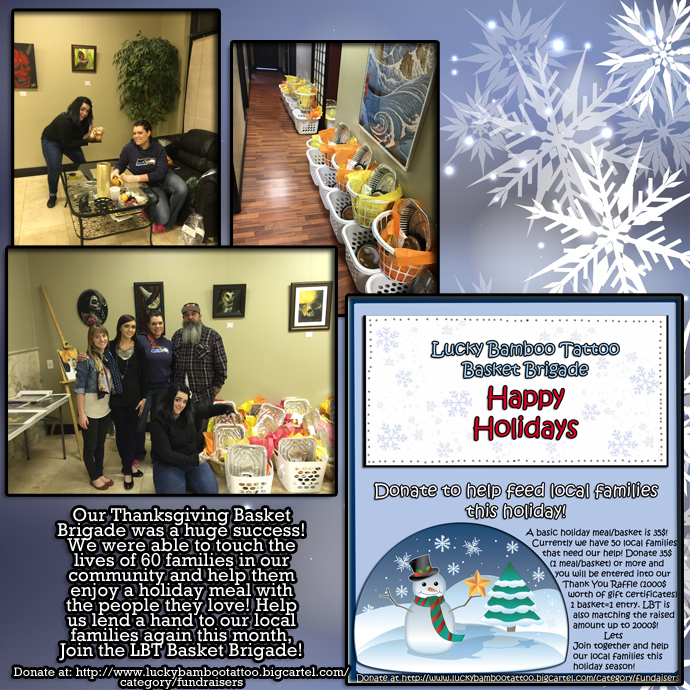 Have you heard of our Basket Brigade? Last month alone we were able to lend a hand to 60 families in our community who were in need of a holiday meal, delivering a full meal to each of them! We have 50 local families in need of a Christmas meal, so we are calling on all LBT lovers to join together and show everyone what the holidays are all about! We need 20 more donations and we KNOW with you guys we can do this!